While we’re not currently accepting new Medicare patients, we work diligently to evaluate Medicare options that serve the best interests of our existing patients. As of 2018, we closed our practice to traditional non-employer Medicare plans. However, we are committed to our Medicare patients and will continue providing care for patients enrolled in one of our contracted Medicare Advantage plans. Many of our patients find that Medicare Advantage plans offer coverage that better meets their individual health care circumstances. These plans also work closely with us to support you and your physician’s efforts in managing your overall health in a cost-effective way. Many of our patients find that Medicare Advantage plans offer coverage that better meets their individual health care circumstances. These plans also work closely with us to support you and your provider’s efforts in managing your overall health in a cost-effective way. For patients needing help finding the right Medicare plan and want to know more about important changes that are taking place with our Medicare insurance policy, Sound Family Medicine offers the services of MedicareCompareUSA*, our free and preferred resource for patients wanting assistance. 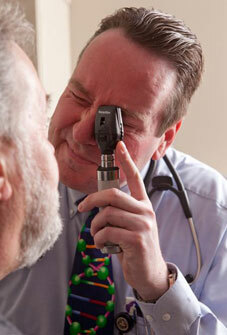 Their local agents represent Sound Family Medicine accepted Medicare plans and provide unbiased plan comparisons. Agents are available by phone and personal appointment at Sound Family Medicine or your home. MedicareCompareUSA also conducts Medicare Education Seminars here at Sound Family Medicine. Seminars are designed for patients new to Medicare and those who want to brush up on their Medicare benefits. Please take a moment to complete our Medicare Insurance Response Form. The information you provide helps us better serve you as you transition to Medicare and communicate important changes that are taking place with our Medicare insurance policy. Note: If you are a retiree receiving insurance benefits from a former employer, please contact your employer’s human resources or Benefit Administrator for help understanding your options.